Pele has been pouring her white hot lava from various vents for more than 30 years, the longest active eruption in modern history. 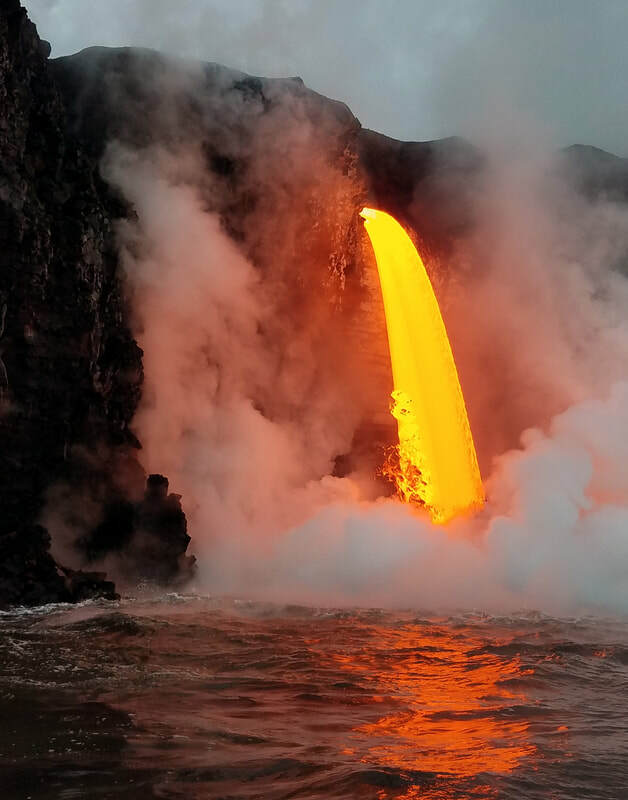 Each time the lava flows to the sea more land is added to Hawaii's already immense size. I was privileged to procure a seat on a boat and was thrilled to witness this incredible site. The belching of steam and the hissing of molten rock kept me spellbound but only until the boat turned once more and I continued to press that shutter release.